Whether you use your backyard primarily for pool parties, barbecues or basketball games, it’s important to balance good looks with functionality and durability. 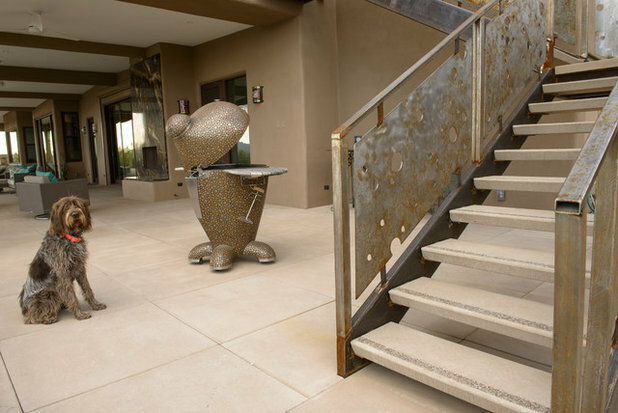 “Whether you lean toward a modern or traditional aesthetic, concrete can enhance a home’s quality and elegance,” Angela Kelly says. 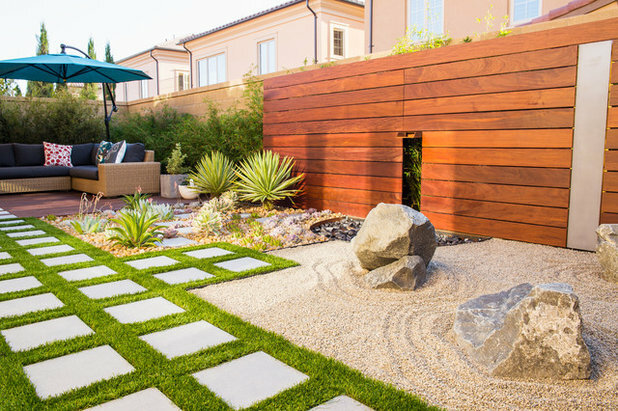 Want an outdoor space that’s beautiful and durable? Below, Kelly explains the key benefits of precast concrete. 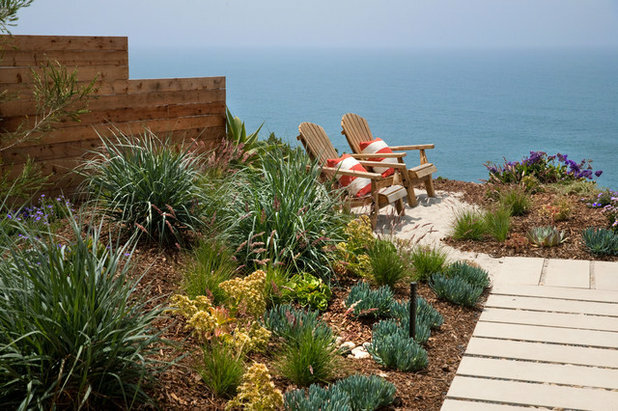 Because the Santa Barbara property seen here is nestled on a cliff overlooking the ocean, the homeowners wanted a durable material to use throughout their yard. “Precast concrete is strong enough to withstand the combination of pool use and the harsh salty air,” Kelly says. 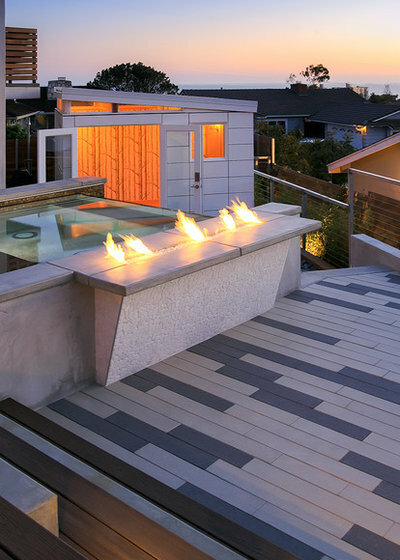 More: For more information on Stepstone and examples of its work, visit the company’s Houzz profile.